In this tutorial I will teach you how to separate your Odoo frontend and backend. I will install the Odoo codebase/frontend on one server and the backend (your PostgreSQL server and database) on another server. You will learn how to configure both Odoo and PostgreSQL to achieve this. In order to achieve and demonstrate this setup to you I will be working with two virtual machines. I will refer to the Odoo codebase/frontend server as the ‘frontend server’. The PostgreSQL server and database will be named ‘backend server’ throughout this tutorial. My frontend server has the IP 192.168.118.167 and my backend server has the IP 192.168.118.168. Tip: Make sure that both your servers have a fixed IP, otherwise your setup will break due to IP changes! Let us start with the configuration of the backend server. This server will contain the PostgreSQL server and the database(s). sudo su - postgres -c "createuser -s odoo11 -P"
After you execute this command the system will ask you for a password for this user. Fill in a password and confirm this password again. Tip: Don’t forget to remember this password, you’ll need it later on. Finally, save your file and close it. Your PostgreSQL now knows that you want to allow connections from the backend server (IP 192.168.118.167). Tip: Don’t forget to remove the # in this line because otherwise this line will be skipped! Your backend server is done now. Switch to the frontend server and open up your Odoo configuration file. db_user = odoo11 # The PostgreSQL user you've configured in chapter 2.2. When you now browse to your Odoo instance (on your frontend server) you’ll see that your new Odoo is ready to use. That is all! You’ve now setup your own Odoo instance where the frontend and backend are split between two servers. While this is everything that you need in order to split up the backend and frontend of Odoo there are still some things to consider. Because of security reasons you’ll most likely want to encrypt all the data and place everything on SSL. This also includes the calls from the frontend server to the backend server. Setting up an Odoo instance where the frontend and the backend are split is actually quite easy. Due to the built-in parameters from Odoo it is very easy to configure the frontend side. 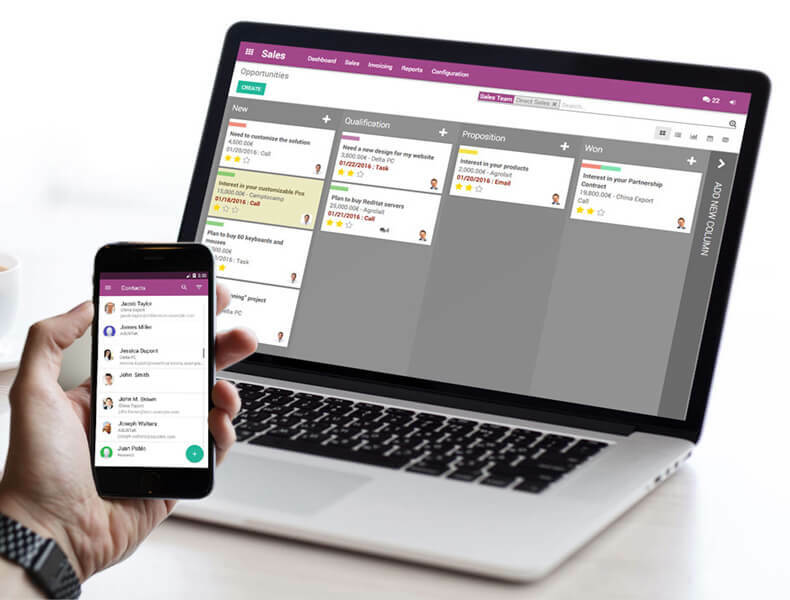 When you split the frontend and backend up and apply extra security – such as HTTPS connections and VLAN’s – you’ll have a safer and more controlable Odoo instance. 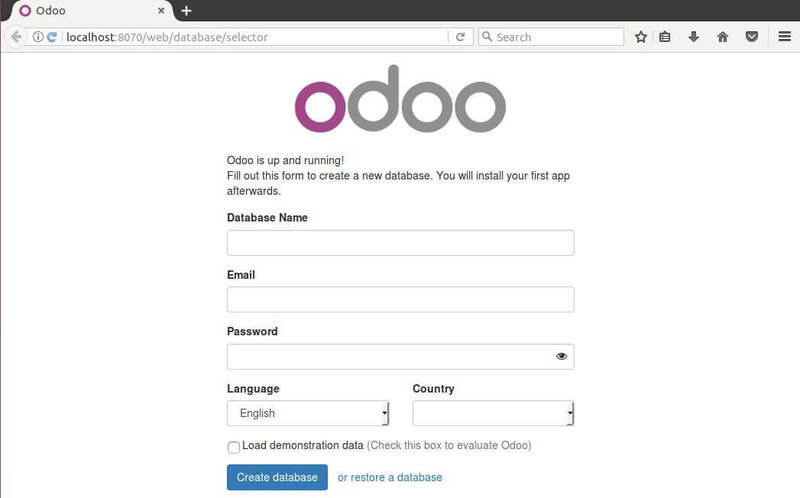 If you’d like to learn more about the deployment of servers and the default Odoo parameters you can have a look at the official documentation. If both servers are in a private network, like you can establish in digitalocean or similars, and the forntend has a https reverse proxy, Is it secure enougth? Can I avoid to encrYpt communications between both servers? The front end needs PostgreSQL client so that Odoo can access pg_dump (etc) so you can’t remove PostgreSQL completely. Good fact Ray, I actually didn’t think about that! I’ll correct it as soon as possible in this blog post. Could you elaborate on this a little more? I’m trying to setup an Odoo environment with Postgresql on another server, and not doing a full install of Odoo and Postgresql server on the app server. I feel like I’ve got almost everything right, and I can ping between each machine, no firewall issues that I can see, but I still get a 500 server error because my odoo instance gets a connection refused error from the postgresql server. I think this might be what I’m missing. Looks like your postgreSQL server is too strictly configured, not allowing the other server to access the database. Do you have an idea on how to split Odoo into FrontEnd and BackEnd servers? By FrontEnd, I mean the Web part (HTML, CSS, XML template engine) and by BackEnd the API. These two servers would communicate via XMLRPC and be seperated on different servers.